Dubai, UAE, March 04, 2018: The 19th Skyline Cup Cricket Tournament and 5th Skyline Inter-University Sports Festival 2018 organized by Skyline University College Sports Department headed by Mr. Sanjay Benjamin have concluded with new set of champions in five sports categories: cricket, football, basketball, table tennis, and throw ball. Skyline housed a total of 16 universities in this year’s tournaments with a collective number of more than 600 participants from February 11-22, 2018. 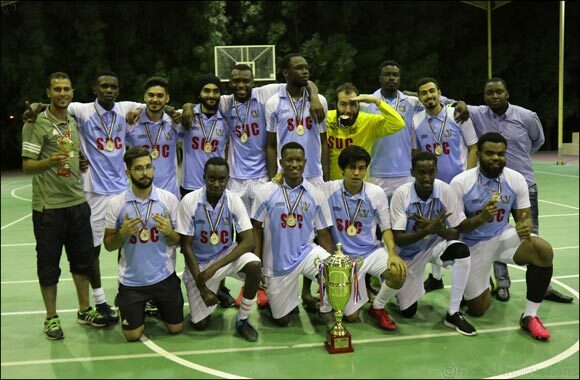 This year, SUC Football Team has won the football category against City University College Ajman with a final score of 2-1. While SUC Cricket team garnered their 11th championship title at the 19th Skyline Inter-University Cricket Cup Tournament against Manipal University, Dubai.